Having suffered from a defeat in the last three games, the Sunrisers Hyderabad is here to play against the Chennai Super Kings at the Rajiv Gandhi International Stadium in Hyderabad. The teams have had quite a contrasting fortunes. On one hand, where the SRH enters the game with three massive losses, CSK has remained unbeaten since the last seven games. Talking about today, the game will be quite an interesting one. And the news from the centre is that CSK has won the toss and has elected to bat first. Suresh Raina to lead the team in MS Dhoni's absence. Sunrisers Hyderabad vs Chennai Super Kings Live Cricket Score. Let’s have a quick look at the IPL 2019 points table. 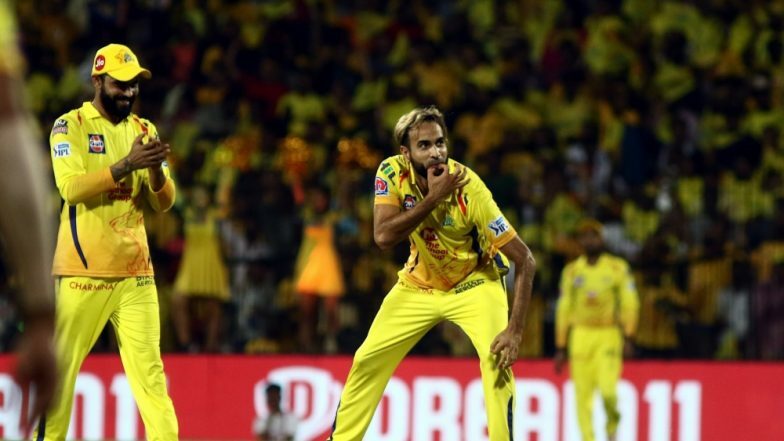 The Chennai Super Kings is placed on number one the IPL 2019 points table with 14 points. Sunrisers Hyderabad has been pushed on number six of the team standings after their three consecutive losses and has six points in their kitty. Out of the seven games played by Kane Williamson and men, the team has won only three and lost four. MS Dhoni and men have played eight games, out of which they have won seven and lost one. Now lets have a look at the playing XI of the teams.SRH vs CSK, IPL 2019, Hyderabad Weather & Pitch Report: Here's How the Weather Will Behave for Indian Premier League 12's Match Between Sunrisers Hyderabad vs Chennai Super Kings.